They also love the songs that help them memorize the facts they are learning. I am less enthusiastic, but ONLY because it is annoying to be singing the timeline song in my head all. the. dang. time. LOL Seriously though, it’s working. They enjoy the work and enjoy the day we meet as a group, so it’s a win-win. (Except for my wallet.) My favorite part? I’m not teaching when we meet as a group. Previous co-ops would leave me anxious all week about teaching, and that would bleed over into my family life too much. I stopped attending co-ops for awhile because of that, but we needed the interaction, so this is perfect. 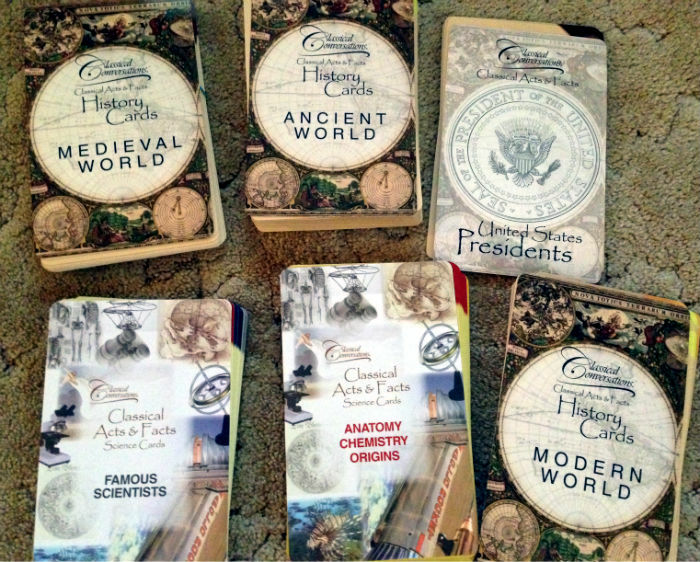 All three of my children are in the Foundations level of CC, which works on memorizing facts for history (including a timeline), science, math facts, Latin, geography, and English grammar. 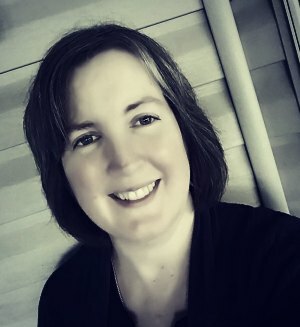 Then my girls are also in the Essentials level, so in the afternoon they are taught English grammar using CC’s Essentials of the English Language curriculum and writing using Institute for Excellence in Writing with the wonderful Miss Donna mentioned above. Because CC is our “spine” for so many things, I feel much more free to be relaxed with filling in the gaps in those subjects. 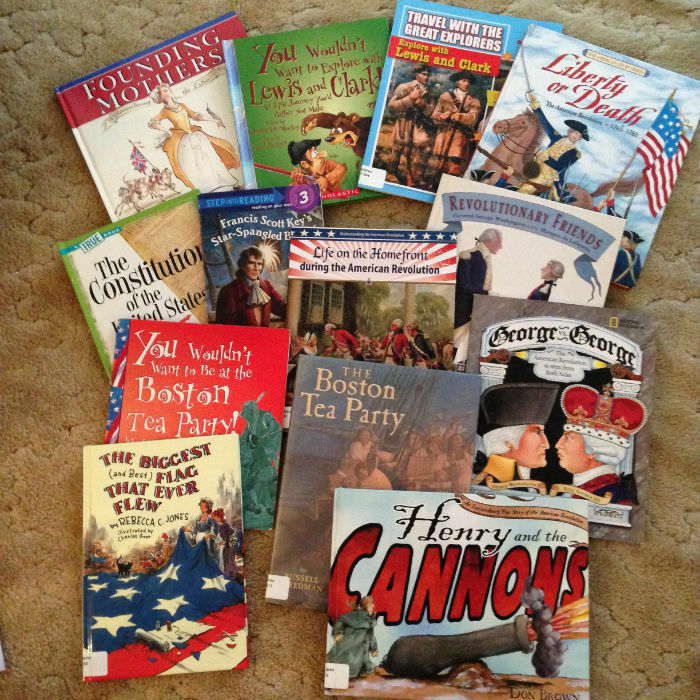 This year history is focusing on American History, so I pulled out our old Sonlight books from that time, and also have a constant stream of picture books and non-fiction history books from our library. I’ve also bookmarked some history related links on my CC Pinterest board. Discussion, occasional reading from The History of US by Joy Hakim, and listening to Story of the World audios (when we are not singing that infernal timeline song, LOL) round out our history right now. For math, we have returned to Math Mammoth. These youngest 3 children have natural math ability, especially my son, so they enjoy the non-spiral approach of MM. They also use Timez Attack and spend time with the Dragonbox App. I have Hands On Equations that I should pull out soon! 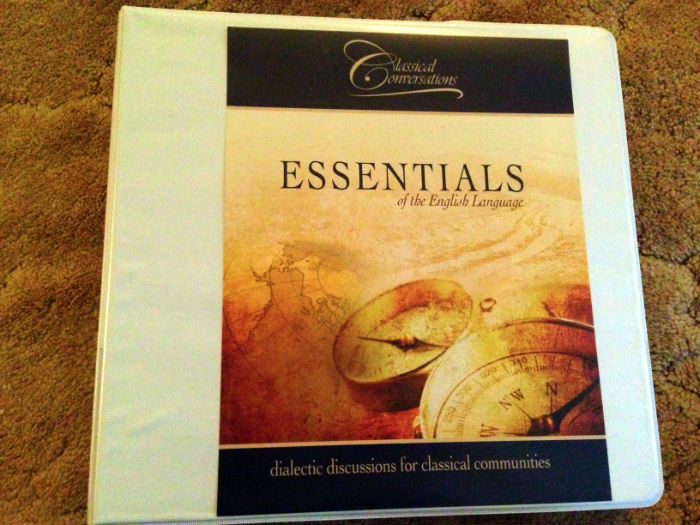 Language arts is covered by CC Essentials for my girls, but that leaves my 7yo out. He is a good reader already, and when he doesn’t know a word he guesses from context. So we are reading together, with no real program. He’s caught the Harry Potter bug. I’m thinking that if he’s reading Harry Potter level books (with a few mistakes per page) then he’s OK reading wise for a first grader! No pushing necessary, just let him read! 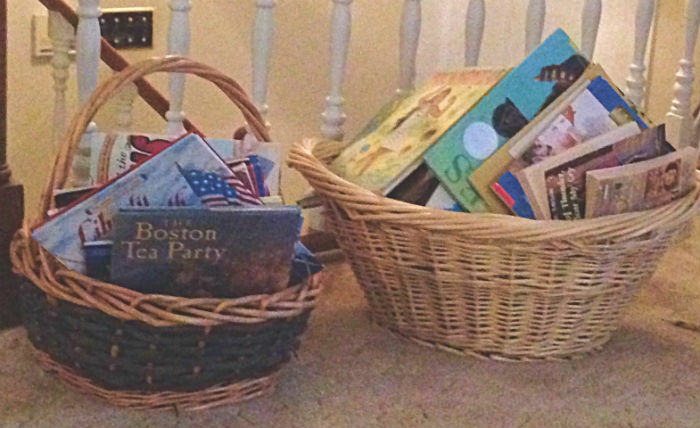 I count our history books towards reading time. I’m all for killing many birds with one stone. Science has always been my downfall here, despite both dh and me having science degrees! (Obviously not grammar degrees, right? I can never figure out whether to use me or I.) None of us are outdoorsy types so I don’t do as many nature study things as I should. At the same time, I want science to be natural and flow from life at this age. I guess between dh and I we do discuss life from a scientific standpoint, but I do think I need to do a little more for my 6th grader this year. CC is studying anatomy – something none of my kids wants to spend time on because of the ick factor. *eye roll* I’m sure before the year is over we will plow through something, but for now I’m happy to use the CC flash cards to explain the body systems and other things they are memorizing. And last and least, they spend a little time with Visual Link Spanish. Mostly just trying to keep up with the local schools for high school prep, in case my kids want to go that route (which they all seem to want to do. *weep*). Basic music and art are covered through CC, so we are free to explore as we wish in those areas, too.